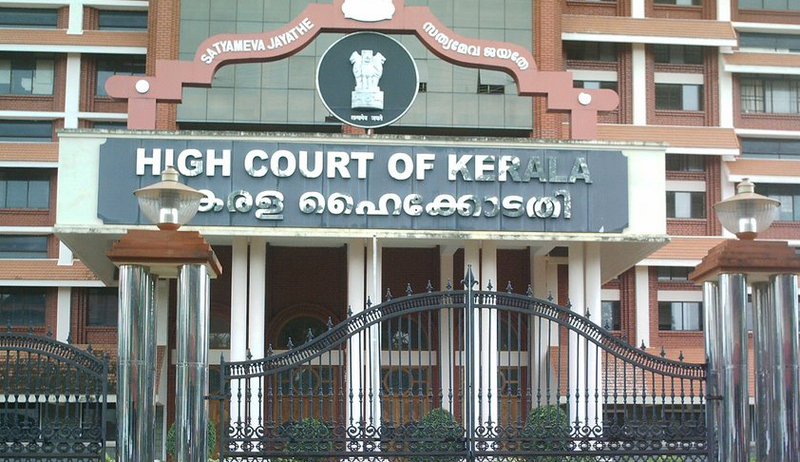 The Kerala High Court, in a petition filed by borrowers in a loan transaction, held that a notice to be valid and effective in law should be issued by a secured creditor or an authorized officer. Hence, only an officer of the bank, as specified by the Board of Directors, can issue a notice of demand, and not the lawyer. The notice for repayment issued by the counsel representing ICICI Bank, Thiruvananthapuram was challenged before Justice A V Ramakrishna Pillai. The petitioners, Rajendran and his wife, Bobby Sebastian had got a housing loan from the bank, by mortgaging an apartment owned by them. Though they disputed the amount, the bank issued a lawyer’s notice. They had then alleged that a lawyer is not competent to issue a repayment notice, as he is not an authorized officer of the bank, within the meaning of section 2(a) of the Security Interest (Enforcement) Rules, 2002. Under section 2(b) of the Security Interest Rules, a notice to be valid and effective in law ought to be issued by a secured creditor or an authorized officer. However, the question now before the court was whether the notice issued by the counsel representing the bank (secured creditor), can it be repudiated, branding it as one issued in contravention of the letter and spirit of the provisions of the Act and Rules? The Counsel for the respondent contended that the notice issued by the counsel representing the bank is a notice of demand, which constitutes an action, thereby providing for an opportunity to the borrower to make a representation to the secured creditor and; therefore, it is legally competent. The petitioners however asserted that when section 13(2) specifies the enforcement mechanism for right of a secured creditor by a notice and Rule 2(b) makes it clear that it has to be by the secured creditor or its authorized officer. Hence, the particular mode prescribed by the statute and ruled needs to be followed. Accepting this contention, the Court answered the question in positive, going against the earlier views taken by the Calcutta High Court in Asset Reconstruction Company India Ltd. v. M/s. Amit ventures Private Ltd. & Others and Rajasthan High Court in Kailash Chandra Sharma v. ICICI Bank Ltd. & Others and ruled that only an officer of the bank, as specified by the Board of Directors, can issue a notice of demand under Section 13(2) of the Act as contemplated under Rule 2(b) of the Security Interest Rules, 2002.